We are offering Load Bank Rental and Repairing Services. 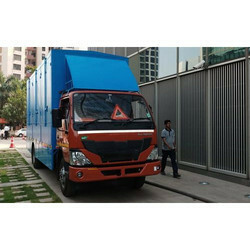 We are well known in the market for offering 4 X 2250 KVA Resistive Load Bank Rental Service to all clients from electrical industry. These services are provided by skilled workers employing advanced tools and machines. All these services are appreciated for their effectiveness and reliability. Moreover, we render these solutions to the customers within the given time period. UPS Load Testing. Usage I.T Industries,Shiping Industries,Gas Generating Testing. 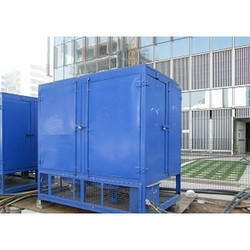 We are providing a wide array of Load Bank Rental Service to our valuable customers. We are proficiency in this service with highly trained professionals so to complete the work within the given time period. Also, we employ latest tools and techniques to provide these solutions at par with global standards. Moreover, we work in close consort with the customers to cater the varied demands. Supported by the experienced employees, our organization is offering a wide assortment of Load Bank Van Rental Service. The rendered service is widely appreciated owing to perfect execution and flawlessness. Together with this, our professionals have the experience of offering this load bank van service in the best possible way. Highly skilled experts are focused on the design, development and production. Sachin Electrical is take cares of all the activities. We provide quality service only. The work should get done properly is the main aim of Sachin Electricals. We are Load bank provider based in Goregaon (E) Mumbai. Customer should be satisfied with the services. We also provide customer technical assistance, extended warranty, delivery in short period of times, less prices as compares to others, worldwide network & many more. Our FIFC client is one the client who is using our service from last many years which is the result of our best services. 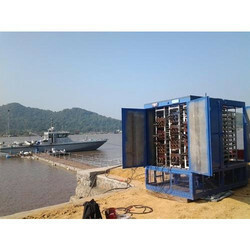 We are one of the most prominent provider of Load Bank for testing generators in Mumbai. Also we are Load Bank supplier in Mumbai as well as outside Mumbai.